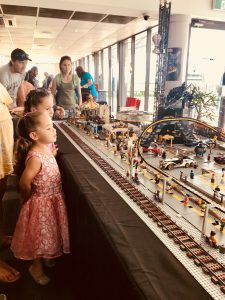 The weekend of March 10-11 saw Kembla Grange Racecourse transformed into a LEGO lover’s dream, with the inaugural Illawarra Brick Spectacular taking place. Organised by six Illawarra based members of the Sydney LEGO User Group (SydLUG), the event was run to raise much needed funds for the KidzWish Foundation. KidzWish provide support for children across the Illawarra and NSW South Coast who are sick, disadvantaged or disabled. Chief organiser, Graham Draper, said he came up with the idea for the show eight months ago, and his initial goal was to raise $20,000 for KidzWish. The $21,606 raised not only exceeded his expectations, but completely overwhelmed the foundation. ‘I am very proud to have been able to create an event that so many people believed in, and the smiles on the faces of the people that attended over the weekend was inspiring. 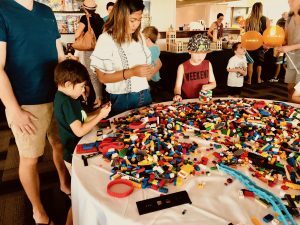 Passing over the proceeds of the event to the CEO of the Kidzwish Foundation and seeing her break down in tears when I told her how much we had raised, was an incredibly great feeling and I look forward to doing it bigger and better next year,’ Graham said. 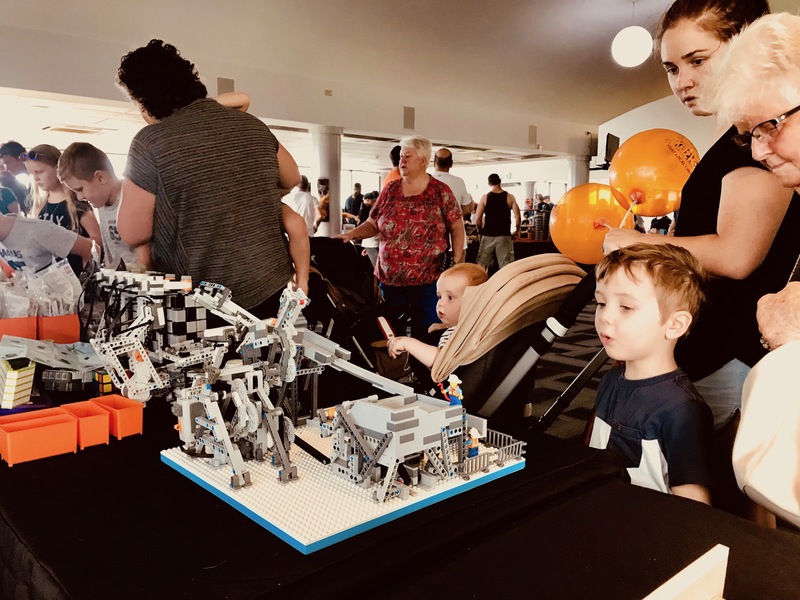 32 exhibitors from SydLUG took part in the show, impressing the crowds with their creativity and building skills. 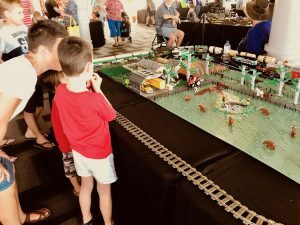 Crowd favourites included the Batman Theme Park, a Western themed MOC, and a technic Rubix Cube solver. 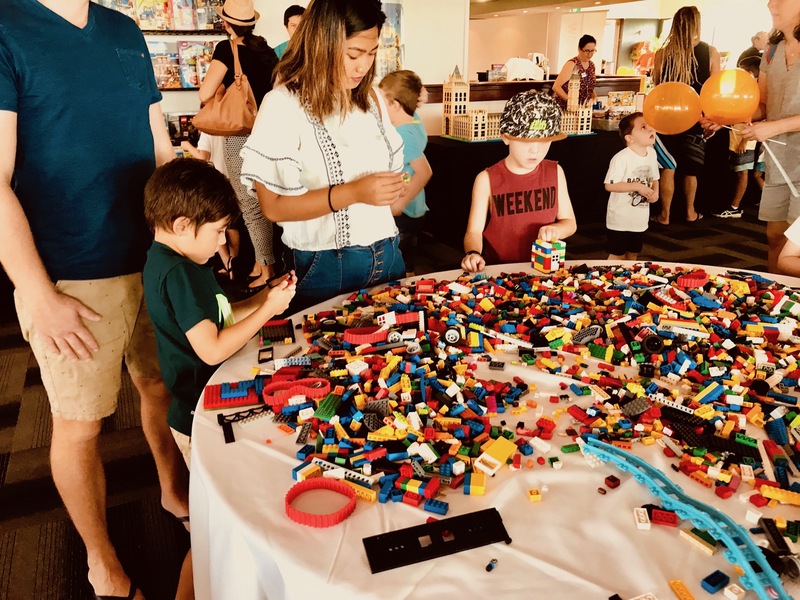 Visitors to the show were also able to show off their own LEGO skills at the free building tables; have some fun on the jumping castle; or enjoy lunch from the sausage sizzle. Over 3,800 people visited the exhibition over the weekend reassuring organisers that there is plenty of love for the brick in the Illawarra. The event is set to become an annual exhibition, with KidzWish excited at what the future holds for their charity with such great supporters on board. ‘We are very proud that the Brick Spectacular have chosen to support us. With so many children needing your help, your support is invaluable,’ said Beau Thatcher, Community Events Manager, KidzWish. Additional funds of $300 were donated by businesses and an extra $2400 was raised by a raffle held at the event. Special thanks were given to the 15 volunteers that made the event possible and ensured both its smooth running and the enjoyment of attendees.